Okay guys, are you ready to lay some more bricks down on your path to Rolex? 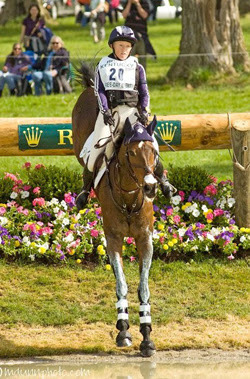 We are so excited that the date is fast approaching for the Hawley Bennett Clinic at Dragonfire! Please be warmed up and ready before your ride time starts so that you can get the full benefit of your time with Hawley. The Deer Creek Pony Club will be on hand with a snack bar including lunch items, so you will be able to stay the day and watch the rest of the lessons without starving to death. Also, we have reserved the private room at the Elk Grove Mikuni's so that everyone can spend some quality time with Hawley and ask her all kinds of questions about what it feels like to represent her country in International Three Day Eventing. Please email Jenny at dragonfirefarm@frontiernet.net to let us know how many in your party are planning on coming to dinner ASAP so that we can give the restaurant a heads up.